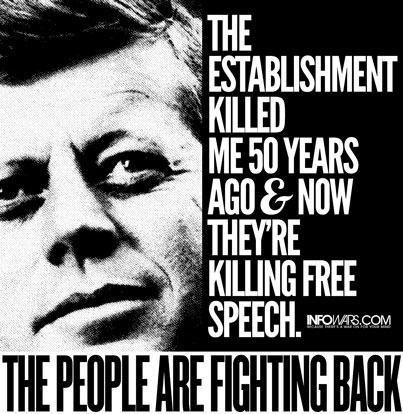 The anniversary of the death of John Fitzgerald Kennedy, the nation’s 35th president, occurs this Friday in the north Texas city where the shadow government silenced him fifty years ago. Since his death, countless people have sought answers and disagreed with the government’s portrayal of what took place that day, chiefly that former marine Lee Harvey Oswald was a lone assassin and that he used a “magic bullet” to kill the president. Now in an unprecedented effort to squelch free speech, the City of Dallas has moved to cordon off huge areas of the city and has attempted to prohibit citizens from carrying signs with messages countering the official narrative, and even filming in certain downtown areas. 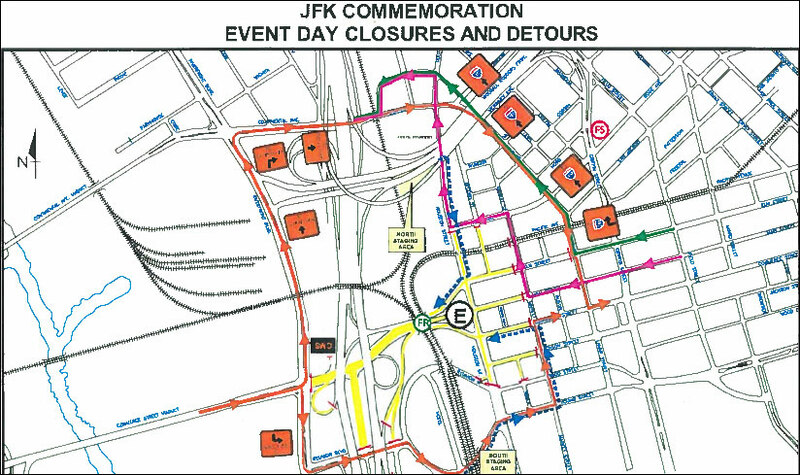 “Due to construction, renovations and preparations for the 50th JFK Anniversary event, extensive filming will not be allowed in Dealey Plaza area from September 1st through November 24, 2013,” a memo from the City of Dallas states. The moves to cordon off the city and prohibit filming are outrageous in light of polls showing a clear majority still don’t buy the official story. Even Secretary of State John “Skull and Bones” Kerry has come forward professing his doubts. 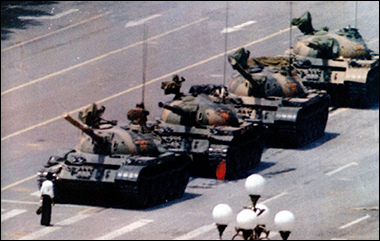 When Chinese citizens stood up in Tiananmen Square in defense of free speech, they were admired around the world. But when the evisceration of that right happens in the supposed land of the free, home of the brave, it’s not even an issue. The state run media’s propaganda mechanisms are also in high gear reinforcing the establishment’s view and running sniveling headlines demonizing “conspiracy theorists,” claiming all the Dallas mayor wants is to keep order and decorum. But under threats of lawsuit by groups such as COPA, the city has caved to numerous concessions like allowing the handing out of leaflets and t-shirts, and hanging banners… but only in designated areas, when all of these activities are clearly free speech. In attempting to control the media and the events, which will be televised for billions worldwide, the social engineers in Dallas hope to suppress and reverse the huge awakening taking place to the fact that a shadow government and rogue elements within the military industrial complex engaged in a coup d’état, exactly what President Dwight D. Eisenhower warned of just two years previous in his farewell address. It’s also imperative to recognize that the real power structure is the private run-for-profit Federal Reserve. On Wednesday, Alex Jones will kick off three days of demonstrations and protests at the Federal Reserve building at the corner of Pearl and Woodall Rodgers Freeway, a location he has previously demonstrated at three separate times with other Americans. From 8 to 9PM on Wednesday night, Jones and his crew will hand out thousands of free fliers exposing the numerous violations of free speech. Activist patriots can then descend on downtown Dallas Thursday, and of course the 50th anniversary on Friday, with the powerful, unfiltered information and alert the sleeping citizenry to the attempted censorship. We’re also planning a First Amendment march on Thursday, which will soon be announced, and on the key day of Friday. These demonstrations are all about the First Amendment, the freedom of the press, expression and free speech, and we’re going to be there. We need people to participate in these demonstrations whenever they can, whether it’s all three days or one hour. Wednesday night, we need as many people as possible to receive the fliers. We’re calling on people from all over the planet to come down to Dallas and help get the word out to people in the downtown area.